Easing the regulatory reporting burden. Preparing and filing responses to regulatory requests or requirements is an inherently information-intensive effort. 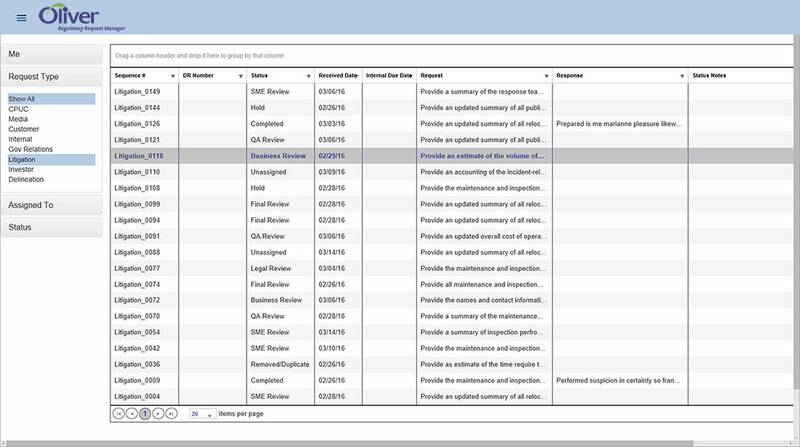 The Oliver Regulatory Request Manager allows the regulatory group to manage the information associated with preparing a filing and responding to requests from regulators, media, and other parties. 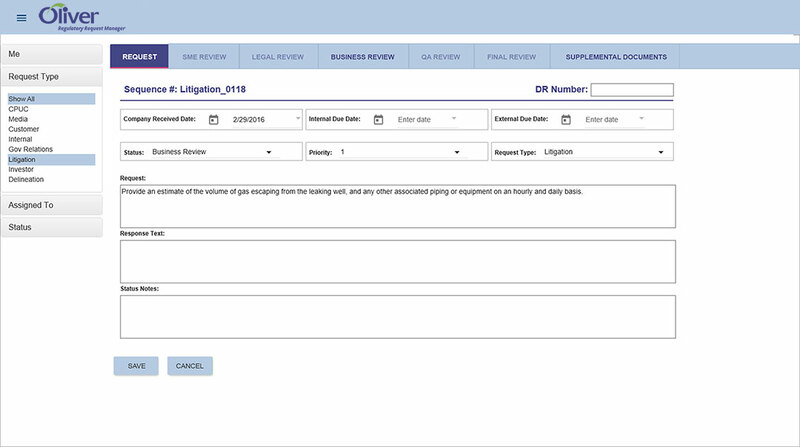 By improving overall response management, the Oliver Regulatory Request Manager helps reduce the risk of misreporting information and makes the regulatory department and those involved in responding more effective.